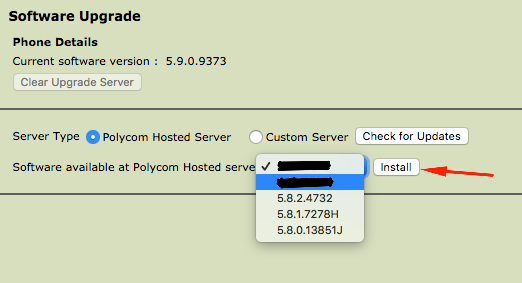 Follow these steps to upgrade the firmware on your Polycom phone. You should upgrade the phone's firmware before provisioning it. 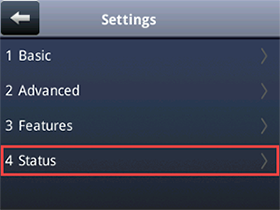 On your phone, press the Home button then select Settings. 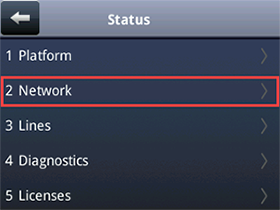 Navigate to Status > Network. 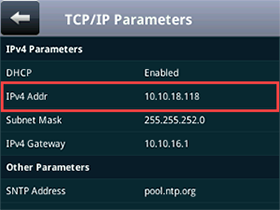 TCP/IP Parameters > IPv4 Addr and make note of the IP address. Open your web browser and enter https:// followed by the phone's IP address from the previous step. Note: The web browser must be on a computer that's connected to the same network as the phone. If your browser displays a security warning, add a security exception and continue. 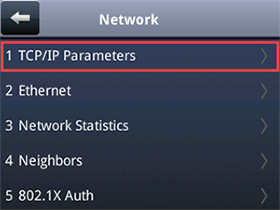 Log in to the web interface as an Admin. Note: You will be prompted to enter the administrator password. If you have already provisioned the phone this can be found on zoom.us on the company info page. If you have not already provisioned the phone, try the default password of 456 or contact the phone vendor for further assistance. On the Home page, check the UC Software Version. If the phone has the latest version, you can skip the upgrade process. Click Utilities > Software Upgrade. 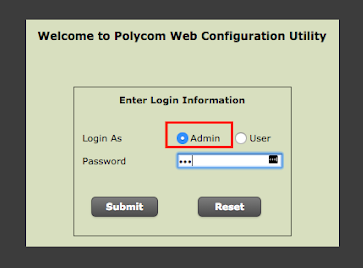 Check Polycom Hosted Server and click Check for Updates. You will get a message saying "Successfully fetched the available versions". 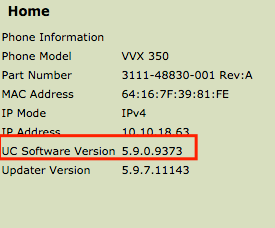 In the Available software versions drop-down menu, select the latest firmware version that does not have a letter at the end of the version number. Click Install. The phone will reboot during the firmware installation. The process might take 2-3 minutes.